As it gears up to introduce its long-awaited SEPTA Key program, the transit agency will be looking for 10,000 early adopters to help put the new fare system through its paces. Representatives from SEPTA and Xerox, whose subsidiary ACS Transport Solutions is the contractor on the project, will meet on April 14 to determine if the Key program is "essentially, go or no go," according to SEPTA spokesman Andrew Busch. If the system is deemed ready, Busch said, SEPTA will be seeking early adopters in early June. "We are hoping we will be able to roll it out then," he said. Busch said that SEPTA has been working in earnest since 2011, when contracts were initially signed with Xerox, to bring the SEPTA Key card program to its ridership. SEPTA riders would need new cards with chips in them that will allow "tap and go" access – as Busch called it – to public transportation. So far, more than 1,600 fareboxes have been upgraded in SEPTA buses and trolleys, while all 53 stations on the Market-Frankford and Broad Street Lines have been updated with equipment to accept the new Key program. There are also 17 stations throughout the city that are fully outfitted with Key Card turnstiles and riders at these stations can still use existing passes and tokens at the cashier booth. SEPTA plans to slowly roll out the program, leaving current infrastructure in place to allow riders to continue to use tokens and existing trailpasses once the Key system is up and running, Busch said. "This is going to eventually impact everyone who rides SEPTA, so, we want to make sure that we are ready when we roll it out," he said. "If someone already has their token, they aren't going to lose the value of that." He said there is currently no timetable for when existing technology would be removed altogether. SEPTA and Xerox employees are testing the system, Busch said, but, they want more real-world feedback. That's why the agency will limit initial use to the 10,000 early adopters. 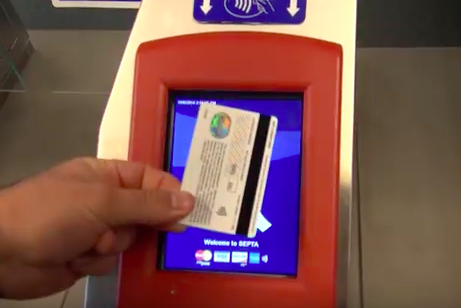 Along with the tap-and-go ease of SEPTA Key, Busch said the new technology will eventually allow riders to tap credit cards or cell phones – using services like Apple Pay – to pay fares without a visit to a ticket office. "But we aren't ready to do that yet," said Busch.